Win a Year Full of Bowlfulls for Your Pet! Another exciting announcement! This is Taffy, owned by HSBC volunteer Dorothy S. Out of all of our eligible contestants, Taffy was randomly selected to be our 2019 Walk for the Animals Cover Dog! Unlike most of our cover dogs, Taffy is not an HSBC alumna. However, her story reflects why we work so hard to stop the practice of backyard breeding. 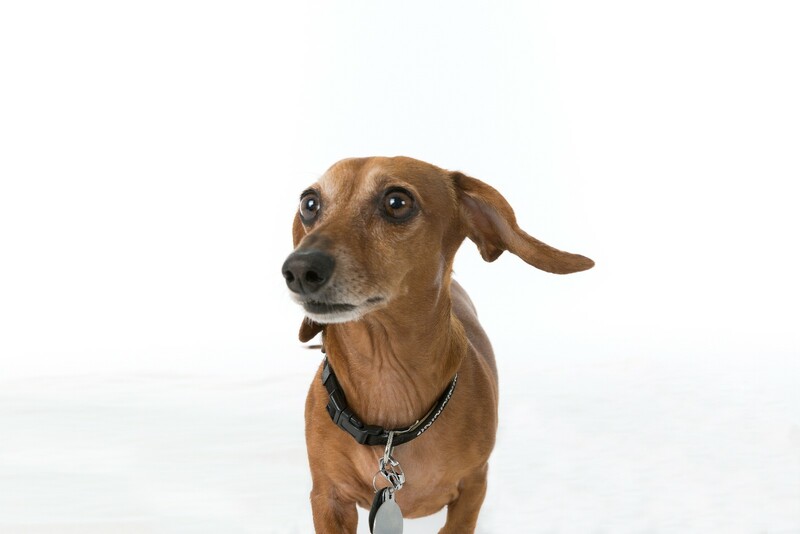 Taffy, an adorable 9-year old miniature Dachshund, got her start in life in New York City. Her mother was owned by a backyard breeder. She was surrendered to a shelter when she became pregnant, and was sent out to a foster family to care for her and her puppies when they were born. Even though Taffy was not yet born, it was her lucky day! Her foster mom had a good friend named Dorothy who loved Dachshunds and had lost her own 15 year old doxie. Her foster mom let Dorothy have the pick of the litter, and Taffy stole her heart! Taffy received so much love and training, she qualified to be a certified Pet Therapy dog at one year of age. She put smiles on so many faces when she visited the pediatric ward at a hospital in New Jersey. Dorothy and Taffy started spending a lot of time in Florida, and now call it home. They were both saddened that they couldn't continue at the hospital, but live a very happy life in our fair state. Dorothy said she is the "sweetest dog ever" (an unbiased opinion, of course). We have to agree. Keep an eye out for Taffy in all of our 2019 Walk for the Animals marketing materials and across social media! Congratulations not only to Taffy, but to our other contestants as well. Each one is equally beautiful and deserving.